When you’re unsure which domain to register, the most common advice you’re likely to hear is to always register your name. But what do you do with your site once you’ve gotten it? This week’s #WebsiteWednesday will show you three unique ways #GenXYZ members and Hover customers are using their name on a .xyz. 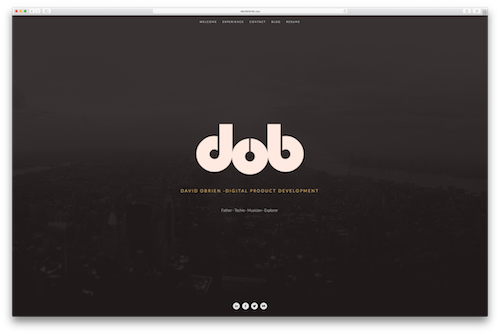 Tech entrepreneur and digital product developer, David, uses his site DavidOBrien.xyz to give an overview of his professional experience, with a look into his personal life via his blog. He is also the founder of humbolt.xyz, an independent music only website, which will fully launch in Summer of 2017. David’s FirstNameLastName.xyz domain is perfect as a virtual resume and as an online portal through which his audience can connect with him. Nick Gutierrez, or as his students know him, Mr. G, is a teacher at the Chicago Tech Academy, who uses his personal .xyz site as a resource for his students as a virtual learning center, and to stay in touch with him outside the classroom. Nick provides resources for his classes on his site, and also highlights some of his favorite projects submitted by past students. In the age of technology, Nick’s FirstNameLastName.xyz is a great way for him to stay in touch with his students using his .xyz domain. Ando Shah secured an awesome four letter .xyz domain, his first name, as his domain. 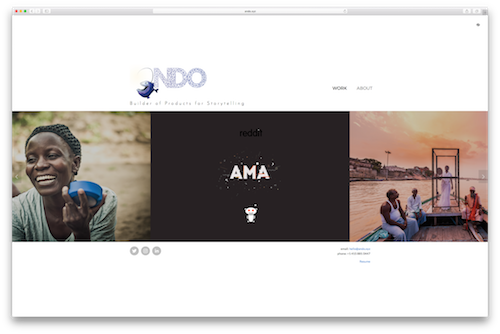 Ando.xyz is a highly coveted piece of online real estate for showcasing Ando’s past work experience and major creative projects he has worked on. Ando’s passion for 360° film is evident on his site, and he even showcases his work as co-director of the 360° short film JetLag, which was an official selection at Cannes Film Festival 2016 and won Best Live Action Film at Kaleidoscope VR Film Festival 2016. The only limit to the potential of your personal website is the creativity and passion of its creator. These three .xyz adopters show exactly how imaginative the #GenXYZ community is with their sites. Do you have YourName.xyz, YourIdea.xyz, or YourBusiness.xyz registered yet? If you don’t, now is a great time, as our friends at Hover are having a sale on .xyz domains for just $4.99. The sale ends this Friday, so hurry over now to save 58% on the world’s most popular new domain! « Previous Post Check out the #XYZsquad on TV at SXSW 2017!